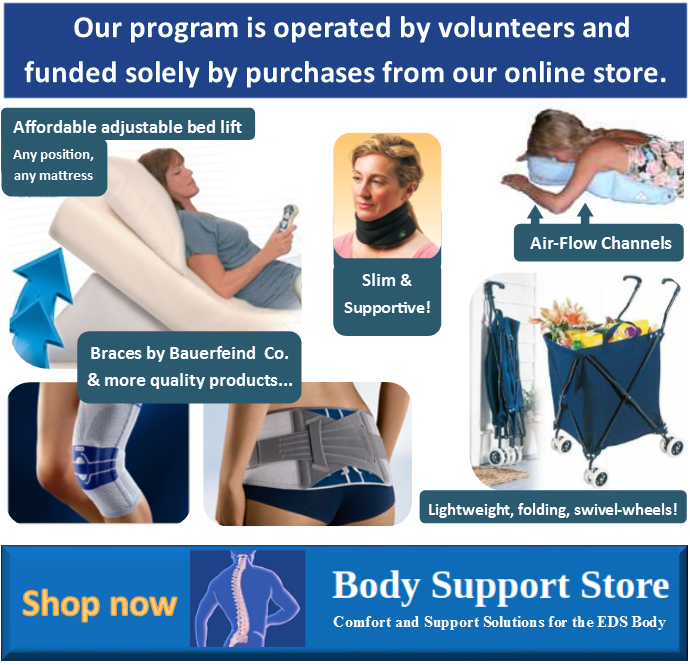 “Ehlers-Danlos Syndrome is a rare disorder, comprising a group of related inherited disorders of connective tissue, resulting from underlying abnormalities in the synthesis and metabolism of collagen. This proposal is specifically concerned with Ehlers–Danlos syndrome classic type (formerly Types I–III), which is characterized by joint hypermobility and susceptibility to injury/arthritis, skin and vascular problems (including easy bruising, bleeding, varicose veins and poor tissue healing), cardiac mitral valve prolapse, musculo-skeletal problems (myopathy, myalgia, spinal scoliosis, osteoporosis), and susceptibility to periodontitis. No treatment is currently available for this disorder. The novel aspect of this proposal is based on: (i) increasing scientific evidence that nutrition may be a major factor in the pathogenesis of many disorders once thought to result from defective genes alone; (ii) the recognition that many of the symptoms associated with Ehlers–Danlos syndrome are also characteristic of nutritional deficiencies; (iii) the synergistic action within the body of appropriate combinations of nutritional supplements in promoting normal tissue function. 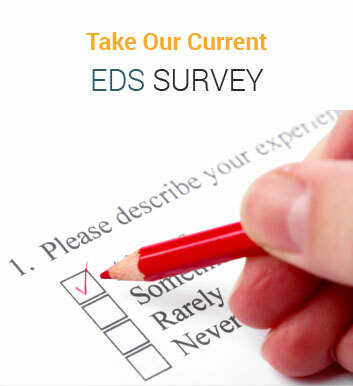 We therefore hypothesize that the symptoms associated with Ehlers–Danlos syndrome may be successfully alleviated using a specific (and potentially synergistic) combination of nutritional supplements, comprising calcium, carnitine, coenzyme Q10, glucosamine, magnesium, methyl, sulphonyl methane, pycnogenol, silica, vitamin C, and vitamin K, at dosages which have previously been demonstrated to be effective against the above symptoms in other disorders. c 2004 Elsevier Ltd. All rights reserved. Ehlers–Danlos syndrome comprises a group of related inherited disorders of connective tissue, caused by underlying abnormalities in the synthesis and metabolism of collagen . Collagen is the substance responsible for maintaining the integrity of ligaments, tendons and cartilage, as well as providing the support structure for skin and blood vessels. Any tissues containing collagen may be adversely affected, and 10 variants of this disorder (Types l–X) have been described, depending on the symptoms and pattern of tissues variously affected. 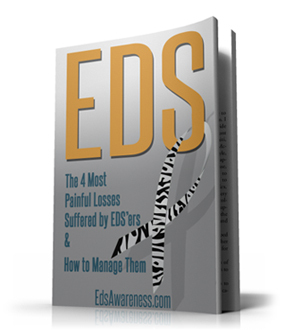 Ehlers–Danlos syndrome is an uncommon disorder, with an incidence of approximately 1 in 5000. No treatment is currently available for this disorder. This proposal is concerned with Ehlers– Danlos syndrome classic type (Types l–III), characterized by joint hypermobility and susceptibility to injury/arthritis, skin and vascular problems (including easy bruising, bleeding, varicose veins and poor tissue healing), cardiac mitral valve prolapse, musculo-skeletal problems (muscle weakness, myalgia, spinal scoliosis, osteoporosis), and susceptibility to periodontitis. The novel aspect of this proposal is based on three principles: (i) the increasing scientific evidence that nutrition may be a major factor in the pathogenesis of many disorders once thought to result from the effects of defective genes alone; (ii) the recognition that many symptoms associated with Ehlers–Danlos syndrome are also characteristic of nutritional deficiencies; and (iii) the synergistic action within the body of appropriate combinations of nutritional supplements in promoting normal tissue function. We therefore hypothesize that the symptoms associated with Ehlers–Danlos syndrome outlined above may be successfully alleviated using a combination of specific (and potentially synergistic) nutritional supplements (in appropriate dosages), the scientific rationale for the use of which is discussed below. A wide variety of essential nutrients are required to maintain normal functioning of the body. Some of these substances, such as vitamin A or coenzyme Q10, obtained partially by manufacture within the body, and partly from the diet. Other nutrients, such as vitamin C, cannot be manufactured by the body, and must be obtained entirely from the diet. In principal, adequate amounts of essential nutrients required by the body should be available from a normal balanced diet. However, in practice many individuals do not have an adequate intake of many essential nutrients, because of a reliance on highly processed convenience foods that may be substantially depleted in these substances (for example vitamin C, which is readily destroyed by cooking or food processing). In addition, a recent report  has indicated fruit and vegetables may have become increasingly depleted in the levels of essential nutrients between 1940 and 1991; examples include depletions in zinc (57%), calcium (46%), and magnesium (24%). Essential nutrient levels are also reduced by stress and illness. Examples of Ehlers–Danlos syndrome symptoms which are also well established characteristics of nutritional deficiencies include the following: susceptibility to bruising and bleeding and scurvy (i.e. deficiency of vitamin C/vitamin K); hypermobility and rickets (i.e. deficiency of vitamin D/calcium/ magnesium); mitral valve prolapse and deficiency of magnesium and coenzyme Q10; scoliosis, osteoporosis, and susceptibility to fractures, and deficiency of vitamin K/calcium/magnesium; birth problems and deficiency of magnesium/zinc. The best evidence that disorders thought to result entirely from the effects of defective genes may also have a nutritional component is based on studies involving identical twins. There have been several reports of identical twins with inherited disorders of connective tissue metabolism, with widely differing severity of symptoms, indicating that disease progression can be modulated by environmental factors, the most likely of which is nutrition . Based on the information outlined above, there is therefore a probability of depletion of essential nutrients in individuals with Ehlers–Danlos syndrome. The association between vitamin depletion and specific deficiency diseases has been known for many years (e.g. vitamin C and scurvy), but the importance of nutrition and nutritional deficiencies in the pathogenesis and prevention of disease in more general terms has more recently become increasingly apparent. Thus the recommended daily allowance (RDA, theoretically obtainable from a normal diet) for vitamin C of 60 mg/day is considered by many nutritionists to be inadequate, and the optimum intake for vitamin C has been conservatively estimated to be at least 200 mg/ day. Similarly, the RDA for vitamin E of 15 IU/day is now regarded as a minimum intake level, and an optimum intake of 900 IU/day has been recommended. As an example of the potential benefits of using such increased vitamin intake levels for the prevention of disease, a recently published five year study, involving almost 5000 people over the age of 65, found that individuals who had taken high doses of the antioxidant vitamins C and E had an approximately 70% lower risk of developing Alzheimer’s disease . Alzheimer’s disease is a slowly progressive degenerative disorder of the brain, characterized by impaired memory and mental functioning, for which orthodox medicine can currently offer little in the way of effective treatment. However, Alzheimer’s disease serves as an example of a disorder generally considered to be refractory to treatment by conventional medical practitioners, for which nutritional intervention has recently been found to be effective. This has resulted from the recognition of the similarity of the symptoms of Alzheimer’s disease and those resulting from vitamin B deficiency. A significant improvement in Alzheimer’s disease symptoms has recently been reported, via administration of a combination of B vitamins and antioxidant vitamin supplements over a period of approximately six months, based on increased levels of plasma homocysteine in Alzheimer’s disease patients . Finally, there are a number of precedents where the outcome of disease resulting from inherited disorders of metabolism can be beneficially modulated via nutritional intervention, a well established example being maternal supplementation with folic acid in the prevention of neural tube defects. On this basis, individual nutritional supplements proposed for the alleviation of the various symptoms associated with Ehlers–Danlos syndrome, and the dosages at which each supplement has been demonstrated to be effective in other disorders, are listed in Table 1. The rationale for the use of individual supplements is detailed below. Vitamin C plays a vital role in collagen formation, strengthening ligaments and tendons, and capillary blood vessels. Vitamin C prevents bruising and promotes wound healing and healthy gums. Clinical studies have provided evidence that wound healing in subjects judged not to be deficient in vitamin C can be significantly enhanced using daily doses of this supplement in the range 500–3000 mg, which is approximately 8–50 times greater than the RDA of 60 mg . Supplementation with vitamin C has also been shown to improve collagen synthesis/clinical status in some patients with Ehlers–Danlos syndrome  Based on the above data, a dose of 1500 mg/ day of vitamin C is proposed. Methyl sulphonyl methane (MSM) and silica is a combination supplement required by the body for the formation of bone, and collagen in connective tissue (cartilage, tendons, ligaments), and for healthy skin, hair and nails. MSM and silica help maintain the flexibility of joints and arteries, and inhibit the development of cardiovascular disease and osteoporosis . A dose equivalent to 1500 mg MSM and 3 mg silicon/day is proposed. Pycnogenol (from pine bark extract) is an alternative term for proanthrocyanidins, chemical substances belonging to one of the most beneficial groups of plant flavonoids. These compounds have powerful antioxidant activity, promoting increased availability of vitamin C within the body and inhibiting the degradation of collagen. Pycnogenols decrease capillary permeability and fragility, and inhibit the development of venous insufficiency and varicose veins . Pycnogenol helps maintain the strength, flexibility and suppleness of skin. A dose equivalent to 80 mg/day of pycnogenol is proposed. Glucosamine is a sugar-related nutrient used within the body to form more complex molecules, which are necessary for the maintenance and repair of connective tissue and joints. Damage to these components typically results in joint pain and arthritis. Clinical studies have shown glucosamine supplements to be as effective as conventional non-steroidal anti-inflammatory prescription drugs, without the side effects associated with the latter, in the treatment/prevention of arthritis . A dose equivalent to 1500 mg glucosamine/ day is proposed. Carnitine is an amino acid like substance which is important in the metabolism of fat and energy production (acting in synergy with coenzyme Q10, see below) within the body, and promotes normal heart and skeletal muscle function. Carnitine supplements increase the tolerance of muscle to physical exercise, and help prevent exercise induced muscle pain and muscle weakness . A dose equivalent to 250 mg carnitine/day is proposed. Coenzyme Q10 is a vitamin like substance which plays a key role in the body’s energy supply mechanisms, acting in conjunction with enzymes (hence the name coenzyme Q10) to convert sugars and fat into energy. Coenzyme Q10 promotes normal cardiovascular function, and has been used to counter the effects of cardiac mitral valve prolapse . Coenzyme Q10 also inhibits the development of periodontal disease . A dose equivalent to 100 mg/ day of coenzyme Q10 is proposed.c-Linolenic acidis an essential x-6 polyunsaturated fatty acid that is converted within the body into prostaglandins, which are important in normal immune function. Prostaglandins occur in several forms, which may be anti-inflammatory or pro-inflammatory. Dietary manipulation to increase the intake of c-linolenic acid preferentially generates anti-inflammatory prostaglandins, thereby inhibiting the development of autoimmune/inflammatory disorders . A dose equivalent to 240 mg/day of c-linolenic acid is proposed. Calcium is the most abundant mineral in the human body, and is responsible for maintaining healthy bones and teeth and inhibiting the development of osteoporosis. The skeleton acts as a reservoir for calcium; if the intake of calcium is insufficient, bones become depleted in calcium and osteoporosis develops. Magnesium is also important for bone and tooth formation, and inhibits osteoporitic-type changes in bone. Vitamin K stimulates the formation of bone tissue . A dose equivalent to 500 mg of calcium, 200 mg of magnesium and 35 lg of vitamin K respectively per day is proposed. It is important that such nutritional supplements are obtained from a reputable manufacturer who can guarantee content and quality, preferably via manufacture under pharmaceutical control; recent reports have highlighted differences in antioxidant activity between Ginkgo biloba supplements marketed by different manufacturers , and discrepancies in active ingredient levels in coenzyme Q10 supplements produced by different manufacturers . Beighton P, De Paepe A, Steinmann B et al. Ehlers–Danlos syndromes revised nosology. Am J Med Genet 1998;77: 31–7. Thomas D. A study on the mineral depletion of the foods available to us as a nation over the period 1940–1991. Nutr Health 2003;17:85–115. Ambani LM, Gelehrter TD, Sheahan DG. Variable expression of Marfan syndrome in monozygotic twins. Clin Genet 1975;8:358–63. Zandi PP, Anthony JC, Khachaturian AS et al. Reduced risk of Alzheimer’s disease in users of antioxidant vitamin supplements: the Cache County Study. Arch Neurol 2004;61:82–8. McCaddon A, Hudson P, Hill D et al. Alzheimer’s disease and total plasma aminothiols. Biol Psychiatry 2003;53:254–60. Ringsdorf WM, Cheraskin E. Vitamin C and wound healing. Oral Surg Oral Med Oral Pathol 1982;53:231–6. Shashikiran U, Rastogi A, Gupta RP, Sabir M. Ehlers–Danlos syndrome type VI variant presenting with recurrent respiratory infections and responding to high dose vitamin C. J Assoc Physicians India 1999;47:554–5. Parcell S. Sulfur in human nutrition and applications in medicine. Altern Med Rev 2002;7:22–44. Rohdewald P. A review of the French maritime pine bark extract (Pycnogenol), a herbal medication with a diverse clinical pharmacology. Int J Clin Pharmacol Ther 2002;40:158–68. Richy F, Bruyere O, Ethgen O et al. Structural and symptomatic efficacy of glucosamine and chondroitin in osteoarthritis: a comprehensive meta-analysis. Arch Intern Med 2003;163:1514–22. Bellinghieri G, Santoro D, Calvani M, Mallamace A, Savica V. Carnitine and hemodialysis. Am J Kidney Dis 2003;41:116–22. Langsjoen H, Langsjoen P, Langsjoen P, Willis R, Folkers K.Usefulness of coenzyme Q10 in clinical cardiology: a longterm study. Mol Aspects Med 1994;15:165–75. Hanioka T, Tanaka M, Ojima M, Shizukuishi S, Folkers K. Effect of topical application of coenzyme Q10 on adult periodontitis. Mol Aspects Med 1994;15:241–8. Furse RK, Rossetti RG, Zurier RB. Gamma linolenic acid, an unsaturated fatty acid with anti-inflammatory properties, blocks amplification of IL-1 beta production by human monocytes. J Immunol 2001;167:490–6. Schaafsma A, de Vries PJ, Saris WH. Delay of natural bone loss by higher intakes of specific minerals and vitamins. Crit Rev Food Sci Nutr 2001;41:225–49. Mantle D, Wilkins RM, Gok MA. Comparison of antioxidant activity in commercial Ginkgo biloba preparations. J Alt Comp Med 2003;9:625–9. Nutrition is very important for those of us with EDS. This article references many valuable resources for researching this issue. Click here for original source of this article.